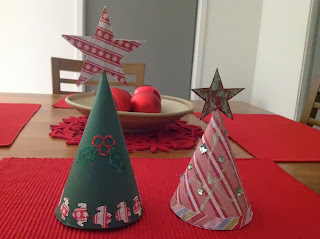 These 2 Christmas trees were made from cardstock and patterned paper. I used the sizzix machine to cut the stars and I have punched shapes and used Kaisercraft bling. The stars are held in place using a long wooden skewer poked down the centre. 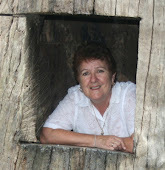 A double star hides the wood. Kindly Glitz adds sparkle to the trees.